The weight training community are always looking for ways to improve their training sessions and ensure their chosen exercises are effective. 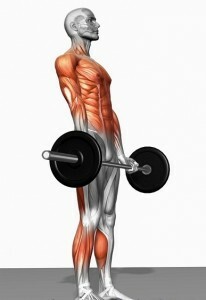 You will see guys trying all sorts of weird and wonderful exercises to reach new levels and optimise muscle activation. However, there is an incredibly simple technique that can be applied to exercises in your routine that many people overlook – time-under-tension. Time-under-tension is exactly what is says on the tin. It is the period of time that your muscles are working against the force you are putting upon it (and can be referred to in terms of both reps and sets). A recent study (1) examines the effects that varying times-under-tension can have on your workout. 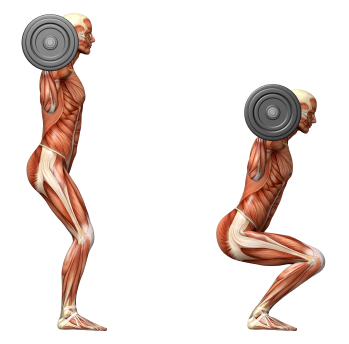 Ten male subjects were randomly assigned to 3 lifting sessions of 3 sets (5 reps) at 70% 1 rep max. Three lifting cadences were used; 1.5 seconds down and 1.5 seconds up, 4 seconds down and 1 second up, and 1 second down and 4 seconds up. Anaerobic energy expenditure was significantly different among protocols: 1.5 down–1.5 up (16.5kJ); 4 down–1 up (21.6kJ); and 1 down–4 up (26.7kJ). Excess post-exercise oxygen consumption (EPOC) after each set was lower for 1.5 down–1.5 up (38.6kJ); versus 4 down–1 up (50.2kJ); and 1 down–4 up (50.0kJ). Total energy expenditure also was significantly less for 1.5 up–1.5 down (60.2kJ); versus 4 down–1 up (80.0kJ); and 1 down–4 up (84.2kJ). The differences found in energy expenditure and EPOC with submaximal weight lifting were not based on the amount of work performed or the eccentric/concentric cadence, but simply on the time to completion of the exercise (TUT). Longer lifts resulted in greater energy expenditure. From this study we can take away that the longer you take to perform your rep, the more beneficial this may be. This may well also be the case for other exercises and by taking longer during your sets, you should increase energy expenditure and EPOC. By increasing the time-under-tension, you are placing more work on the muscles so it is logical that EE and EPOC increased. This study aimed to determine whether there is a difference when you vary the time taken in the concentric and eccentric phases, however no significant difference was found, which many of you will appreciate as it simplifies the application of this theory. I’m sure you will all agree that if you have ever tried taking a bit longer to complete your rep, it is a much harder when you reach those last few. Conversely, you will all have seen that guy in the gym who is regularly flying through his reps without breaking a sweat. In addition to having less of an impact on EE and EPOC, performing fast reps will frequently lead to terrible form. Something that requires further investigation is identifying an optimal time to completion of exercise. There will be a time point after which a plateau will become apparent and finding and manipulating this time point will allow you to make the most from every exercise. However, when we look at the topic of time under tension away from the variable of energy expenditure and EPOC, the picture is a lot more complex. While greater time under tension may be associated with an increase in these variables, this very increase may be detrimental especially for athletes whose goals require that they produce force rapidly. By training more slowly you will be training the body to become slower which is why you will rarely see the concept of time-under-tension used in powerlifting or Olympic lifting circles. Quite simply, the only reason to go slow in these sports is to allow for greater stability and control over certain portions of the exercise. By contrast, going slow purely for the sake of going slow may improve EPOC but is likely to have a negative effect on sporting performance. In conclusion, while time under tension may be a useful tool in bodybuilding or rehabilitation circles it is of negligible utility to athletes where maximising the rate of force development and maximal power output is the primary training goal. © 2012, David Rowse. All rights reserved.